This summer, a pride of 50 lions will become residents of the V&A waterfront in Cape Town, but fear not because they are really just life-size sculptures. It is all part of Pride of Cape Town, a public arts event in aid of international wildlife charity, the Born Free Foundation. At a launch for the event, it was announced that Queen guitar legend Brian May will also make a special appearance at the Grand Cafe & Beach at Granger Bay, Cape Town. The exclusive party will unveil the lion sculptures to 250 guests who will be the first to pledge their support to the cause. The idea is for individuals and companies to sponsor a lion to protect the lives of real-life big cats. For those heading to Cape Town, the launch party is unfortunately by invitation only, but after the event the lions will be on show to the public. 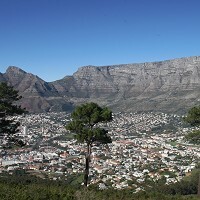 This is one of the many fantastic attractions on offer in Cape Town, although if people are heading to South Africa, they should ensure they have medical travel insurance in place to cover them for any of the animal adventures they plan to undertake.